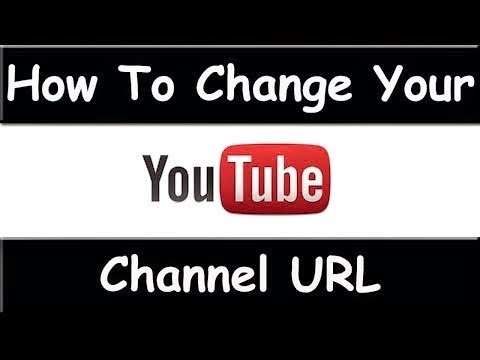 Have You Ever Changed Your YouTube Channel URL or Create YouTube Channel URL. As We All are Familiar With World Best Trending Video Sharing Network-YouTube. Meanwhile,many of them Love to share their Videos on YouTube.Unfortunately,You Many of the channel wont get appeared while we just Google it for.. This is Because,You Have Not created YouTube Channel URL Properly or You Don't Know How to Change or How to Create YouTube Channel URL. Don't Worry. In This article em gonna make you clear along with a Video Tutorial How To Change YouTube Channel URL or How To Create YouTube Channel URL. Before Gonna Take action to Create YouTube Channel,You Have To Sign in To Your YouTube Channel or Get Ready With YouTube Home. Most Probably,the YouTube Channel will be as like below Image. The Circled (below Image)Represents your Channel URL.Looks Like Ugly Nah..?? If You are Holding a YouTube Channel ,For Example "Mintbeatz" and as Like Above,you are holding your YouTube Channel Makes Your Channel Search result by Your Subscribers To Ir-responsiveness one and they go back for other Channel.In order To Prevent This scenario and You wanna Look Alike a Perfect Youtube Channel as Like below Image Shown. Hence,The related Search result with your subscribers keyword doesn't go behind others Videos and you can hold tight Your Subscribers in your Channel Itself.For this You don't wanna Rush Behind Unwanted PHP Coding or Search Unwanted Stuffs From Internet. Just Follow This Video Tutorial For The Better Results rather go for a huge Explanation. If Your YouTube Setting Has Got Some Moderation as per their Latest Update. Drop Your Comment .we will get you for the solution. This article is indeed a useful one because many people even many pros on YouTube don't about its custom URL function which gives you many advantages such as makes it easier for both the search engines and the people to search for you. Thanks for sharing such a nice info with us ....! For a content creator (YouTuber) having custom URL for his channel is very crucial to make his channel a brand. Soon or later, viewers start searching videos with channel name and if the channel is having the Custom URL same as channel name, then chances of getting direct traffic increases. Thanks for this article, Rahul and also thanks for embedding my video here. I really appreciate it. Thanks to you too Ankit Bro for the wonderful video on Youtube..